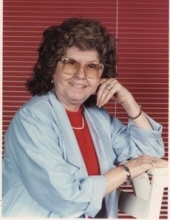 Alene Ratliff Belcher, age 94 of Elkhorn City, Kentucky passed away Thursday, March 28, 2019 at Pikeville Medical Center. She was a homemaker and a member of the Sulfur Springs Independent Baptist Church in Elkhorn City. Alene was born at Ashcamp, Kentucky on September 9, 1924 the daughter of the late Silas and Onesia Cantrell Ratliff. Along with her parents, she was preceded in death by her husband, Otto Belcher and three sons, Joey Belcher, Matthew Belcher and Brian Belcher and several brothers and sisters. She is survived by six sons, Jeff Belcher, Trent Belcher, Elster Belcher and Woody Belcher all of Elkhorn City, Timothy (Connie) Belcher of Oneida, Ky. and Ricky Belcher of Elkhorn City and one daughter, Gloria Belcher Belcher of Sycamore, Ky.
She is also survived by seven grandchildren and several great-grandchildren. To send flowers or a remembrance gift to the family of Alene Ratliff Belcher, please visit our Tribute Store. "Email Address" would like to share the life celebration of Alene Ratliff Belcher. Click on the "link" to go to share a favorite memory or leave a condolence message for the family.